April 30-May 1, 2019 in Chicago, IL. This course will equip trainers to teach Healthy Boundaries 101 & 201. It is designed for those persons designated by their judicatory or organization to train clergy and spiritual teachers about healthy boundaries. Instructors: Rev. Lydia Mulkey and Emily Cohen, M.Div. This course focuses on "prevention" and will equip trainers to teach Healthy Boundaries 101 Fundamentals & 201 Beyond Basics. The course is designed for those who are designated by their judicatory or organization to train clergy and spiritual teachers about healthy boundaries. Whether new or experienced to this training assignment, participants in the course will deepen their own understanding of the issues, explore new challenges, and expand their options for training others. 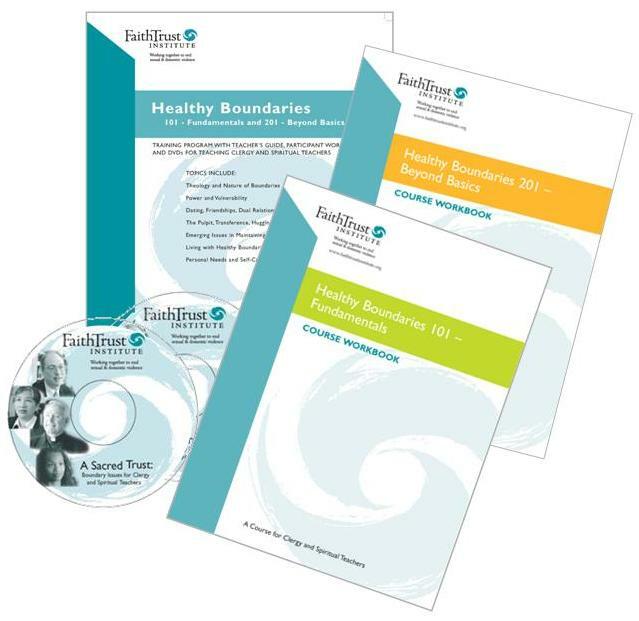 Prepare trainers to teach Healthy Boundaries 101 & 201 with practices for effective training. Analysis of emerging issues for healthy boundaries and ministry, e.g. social media. Strengthen training skills to increase confidence in presenting this material. This course is recommended for experienced trainers and also thosewho have background in healthy boundaries and clergy misconduct topics; people who are training other faith leaders; those seeking a refresher or new material on boundaries. PowerPoint Modules used during classroom training. Topics include the joy of boundaries, theology and boundaries, power and vulnerability, internet technology, social media, finance, attraction, and self-care. Group discounts ($650 per person) are given to groups of 4 or more from the same congregation, organization, or conference/region. Call for more information. Please mail your payment (in US Dollars) made out to FaithTrust Institute. Our address: 2414 SW Andover St, Suite D208, Seattle, WA 98106 with a completed registration form so we have your contact information.